24. What Does the Research Say about Reflexology? Research studies in the U.S. and around the world indicate possible benefits of reflexology for various conditions, particularly as an intervention to reduce pain, enhance relaxation, and reduce psychological symptoms, such as anxiety and depression. However reviewers of the research have noted that the quality of reflexology studies is mixed and more high-quality research is needed. What do summaries of the research say? According to Nobel Prize Laureate Carlo Rubbia, living things are only one billionth physical matter. The rest, he says, is energy! That goes for your body as well. When it comes to breast cancer prevention and healing, it is vital that you keep your energy, or Qi, flowing. One way to do this is through the Traditional Chinese Medicine (TCM) practice of reflexology. Reflexology is a type of acupressure or massage that focuses on the feet. The idea is that by stimulating points on the feet, one can improve the health of corresponding parts of the body, including various organs and the breasts. Reflexology has been used as a healing modality for thousands of years in Asia. Archeologists have even found evidence of its use by pharaohs in ancient Egypt. Breast Cancer and Stagnant Qi. According to Traditional Chinese Medicine, when cancer of any kind is discovered, this means that energy has been stagnating for a long time, similar to how a river may get clogged and muddy with the buildup of debris like twigs and leaves. In addition to unhealthy eating and lack of movement, a big reason why stagnation occurs is because of negative emotions that have not yet been healed. Louis Hay, author of the best-selling book You Can Heal Your Life, presents one interpretation of this connection: "When there are problems with the breasts, it usually means we are ‘over mothering' either a person, a place, or a thing, or an experience... If cancer is involved, then there is also deep resentment." Other emotional blocks include lack of self-love and lack of nurturing in one's life. According to the Wai Ke Zhang Zong, written in the 1400s: "These [negative] emotions accumulate day by day and cause Spleen and Stomach Qi deficiency and Liver Qi stagnation. These conditions will cause the body to create a lump. When Qi or energy stagnation accumulates in the meridians over time, a small seed can progress to a cancerous mass. Then the five major organs will spiral out of balance. This problem is called breast cancer." Of course, this is a modern translation of the words of this ancient text as there was no such thing as the current concept of cancer back then. It is safe to say, however, that throughout history people have seen the consequences of blocked Qi. The development of "blocks in the river," or tumors are a result. "When I was first introduced to Chinese Reflexology, my [practitioner] knew simply from massaging my breast reflexology point that I had a breast lump. While I was squirming in pain, he suddenly asked, ‘Do you have a breast lump in your right breast?' 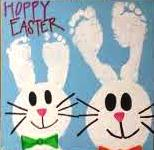 That's how accurately your feet can reflect your body!" In recent studies, reflexology has shown to ease the symptoms, such as shortness of breath associated with chemotherapy and hormone treatment in women with metastasizing advanced-staged breast cancer. The point on the feet that connects to the breasts is a rectangle-shaped area on the top of the foot that extends "from the base of your toe to slightly below your big toe knuckle." To massage the area, Tsu suggests making a fist and using all of the knuckles to rub up and down with moderate pressure for 30-60 seconds. Massaging reflexology points that are connected to the lymph glands is beneficial as well, since the breast area contains a large number of lymph nodes. Keeping the body systems in flow through the use of ancient Chinese medicine techniques like reflexology is a vital part of "The 7 Essentials SystemTM" for healing the body naturally and a time-tested way to stay vibrant, vital and dis-ease free. 25. What does research say about reflexology? Are you going through menopause changes and are so overwhelmed with trying to get in touch with your body that you don't know where to begin? Consider going to a reflexologist or trying a few reflexology methods on your own. 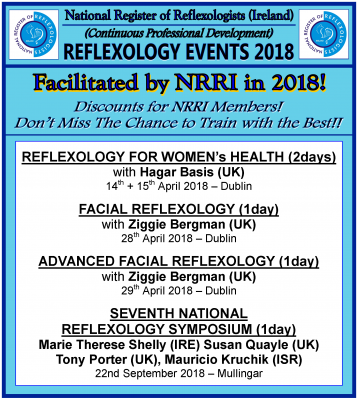 Reflexology provides the opportunity to work on trigger points that can influence hot flushes by working on points connected to the thyroid and pituitary glands, nerve and blood supply for better circulation, as well as organs such as the uterus, the ovaries, and liver that can affect your hormone levels. Touching these trigger points may get you more in touch with which menopause symptoms your body is most sensitive to. 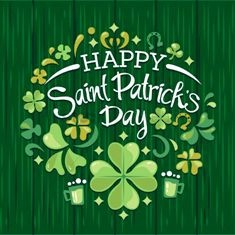 Although pain is valuable to us because it tells us of impending danger; in its chronic form it serves no useful purpose but it nonetheless affects millions of people worldwide with significant implications on quality of life and on the resources of the medical profession 1 2. In today's society it appears to be a general consequence of ageing and ill health, thus producing devastating effects for sufferers and their families. Pain is not however a simple sensory experience; it is also an emotional, social and cognitive one in which it can affect a person's attitude, belief and appraisal of pain. It is described by the International Association for the Study of Pain (IASP) as an unpleasant sensation that may be linked to potential or actual tissue damage, and which may possess both physical and emotional experiences. In short, pain is often difficult to describe and sometimes the terminology used cannot, and does not provide justice to the actual pain experience. There are no objective measurements available for pain, no regular blood tests or dipstick tests and that means that it is an extremely personal phenomenon which can be described only by the person experiencing it 2 3. Your cat has cancer because you have contained anger, says Reflexologist Kiannaa Leighland, who claims that pet health problems have nothing to do with the animals, but are actually a result of pent-up emotional problems of the owners. She says animals strive to relieve human stress, and they internalize human issues, which manifest in pet health ailments. "They aren't the animals' issues," she said. "They get it from us." She believes that through her animal version of reflexology, the human exercise of applying pressure to certain areas on the feet and hands to supposedly repair other parts of the body, she can discover not only what is wrong with the animal, but also exactly what is wrong with the human. This healing modality isn't just for people. It can also do wonders for your feline companion. f you've ever had reflexology, you know something about its health benefits. But have you ever considered giving it to your kitty? As a cat lover and certified reflexologist, I have long had an interest in how this modality can be applied to our feline friends. Reflexology is a holistic healing modality that treats headaches by addressing and supporting the body's entire healing ability. Please read on for more information. 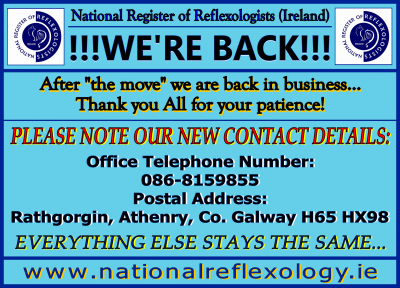 Do you need to find a reflexologist in Ireland? You got into right place. Finding a professional reflexologist in your area couldn't be easier. Just click on the magnifying glass located in the right part of our website. 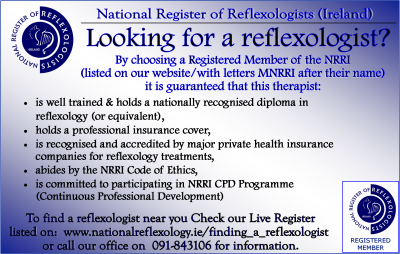 Do you need to find a reflexologist? You got into right place. 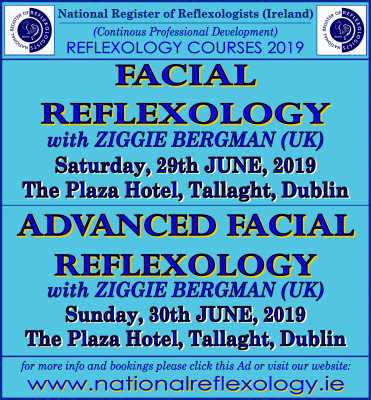 Reflexology is the art and science of applying pressure to key "reflex" points on the feet, hands and sometimes ears to help relieve pain or correct imbalances in other parts of the body. Often associated with Traditional Chinese Medicine (TCM), this ancient therapeutic modality also has antecedents in ancient Indian Ayurveda and Egyptian medicine. While anyone who has experienced reflexology can attest to its benefits for relaxation and stress relief, how can reflexology help ease back pain? Alzheimer's disease, named after Alois Alzheimer a German Neuropathologist in 1906. It is an age related memory loss condition which may and hopefully may not affect some of us. It is caused by degeneration of the brain cells and impairs the cognitive skills of the individual and in time has an undesirable effect on the emotions sense of security of the client. Naturally this causes personality changes. This deterioration has a devastating effect on family and carers. It is difficult to know or understand what changes actually occur for the sufferer. Lack of ability to communicate with the patient, or the patient to communicate is frustrating and devastating. As a consequence it is difficult for family and carers to adapt to the condition. There is also a total dependence of the client on others for their daily personal needs.